Food critics can work for media outlets like newspapers or TV shows, or they can work for a food company such as a restaurant chain. The two jobs are different, but one thing they have in common is an absolute rule: You cannot have any food allergies or dietary restrictions. You must be able to taste everything put in front of you. The food critic job description varies depending on which type of critic you are. The kind of food critics who write for the media or their own blogs need an educated and sensitive palate. They need to know at a glance if a food is inspired by a certain cuisine. They must be able to identify flavorings and techniques and be genuinely interested in where the food comes from and how it is prepared. If they can photograph food well, that skill is advantageous in every media platform except radio. They must love, not like, going out to eat. Typically, they are required to eat anywhere from three to 10 meals at restaurants and special events every week. Food critics who work for restaurant corporations or food manufacturers have a different focus to their work. They may be called food tasters or quality control analysts instead of critics. Their primary job is to look for a standard taste for a given dish and see if each different kitchen or factory can produce that same flavor and the identical presentation. Essentially, while the media food critic is looking for new sensations, the corporate food critic is looking for consistency. It's not all boring, though. New products are tested extensively. It can be exciting to be the one to greenlight a new product that becomes a big hit, and if you work for a chocolate company, who's going to complain about having to eat chocolate all day? Food critic education requirements are not stringent. Both types of food critic jobs write reports of their findings, so excellent writing skills are a must. If you're in media, self-promotion and social media skills are critical as well. A degree in communications, journalism or English gives you the skills you need, but it is possible to succeed without a degree as long as you are exceptionally good at writing. Think of bloggers like Mijune Pak, who worked her way up to a judge's chair on "Top Chef Canada." Flare magazine says, "Pak’s family had no ties to the food industry, she never worked in restaurants or kitchens. She started out with no ins. Instead, after completing her undergraduate degree in communications, she built her blog from what she knew – and what she knew was how to research and talk about great food in a way that would make you want to put in your order immediately. " 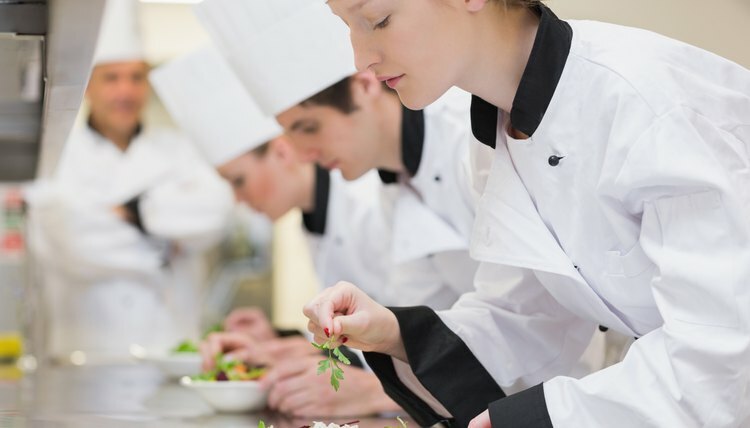 Culinary school is an asset because it gives you a solid understanding of techniques and the food industry as a whole. It is less of a requirement on the media side, but it can be important to corporations who hire through large HR departments. HR departments love accreditation. The outlook for food critics in media is grim. Journalism as a whole has shrunk, and the brunt of the shrinkage has been borne by local outlets such as community television, hometown newspapers and the like, which are the ones people turn to for information about where to dine in their communities – the ones where local restaurants normally advertise. London critic Jay Rayner says, "There are fewer than a dozen of those [full-time newspaper food critic] jobs in the country and only a couple pay a proper wage. My column is about 20 percent of my income. The rest comes from general feature writing, books, TV, etc. And it has taken me 25 years to get here. There are no easy solutions." For corporate food critics, the outlook is far rosier, with the industry growing at double the average rate. The largest growth will come from multinational corporations expanding their businesses abroad in emerging markets, so a familiarity with the national palates of such countries could be an asset in a job hunt. Except in unionized positions, a critic's salary is negotiated with the media outlet directly and may or may not increase as time goes on. Sometimes pay goes down in journalism jobs. It's rare that someone can make a living as a full-time food critic. Most have side jobs that include cookbook ghostwriting, personal appearances, churning out marketing copy, or acting as consultants to new restaurateurs. Most food critics earn the same as a starting wage in whatever media outlet they're publishing in. For websites, it can be as little as a share of ad revenue or 10 cents per word. For television, it is substantially more, but it's still only a part-time job except for a handful of breakout stars. Corporate tasters generally start at an admin-level wage, which is $15 to $20 per hour. Sitting on a prestigious panel of food judges on television every week, rubbing elbows with Nigella and Alton, seems like a dream job. The audience can't see the years of struggle, the 2 a.m. blogging nights, the endless bad meals and angry chefs endured getting to that point. If you can see it in your mind's eye and are still up for the challenge, and you can write like a god, then a future as a food critic might be for you. Lorraine Murphy has been writing on business, self-employment, and marketing since the turn of the 21st century. Her credits include Vanity Fair, the Guardian, Slate, Salon, Occupational Pursuit Magazine, the Daily Download, and Business in Vancouver. She has been a judge and mentor at Vancouver Startup Weekend multiple times, and is an in-demand keynote speaker. How Much Money Do Movie Critics Make? How Does a Food Critic Critique Food? Murphy, Lorraine. "Salary Range for a Food Critic." 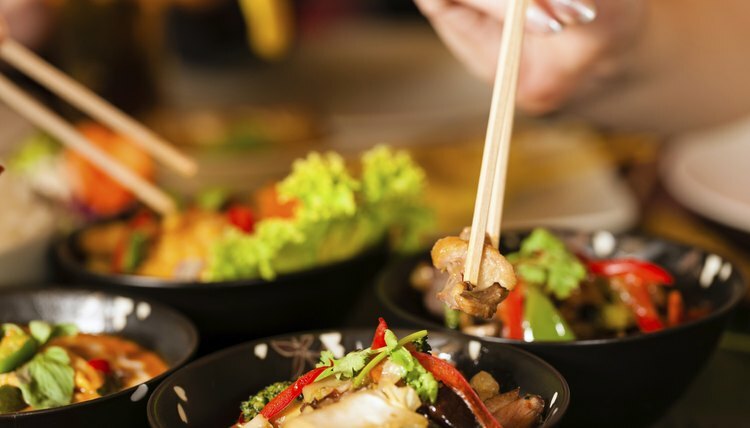 , https://careertrend.com/about-6503930-salary-range-food-critic.html. 27 December 2018.